Sadly we don’t have any Irish connections, so breaking the fast for the feast of Saint Patrick seems a little far fetched, although, as Patrick was sold as a slave and sent off to Ireland from Bristol (where I was bred and my daughters were born) may suffice! As I will be sticking to my fast, we’ll be eating Colcannon and Soda Bread to give a nod to Saint Patrick! 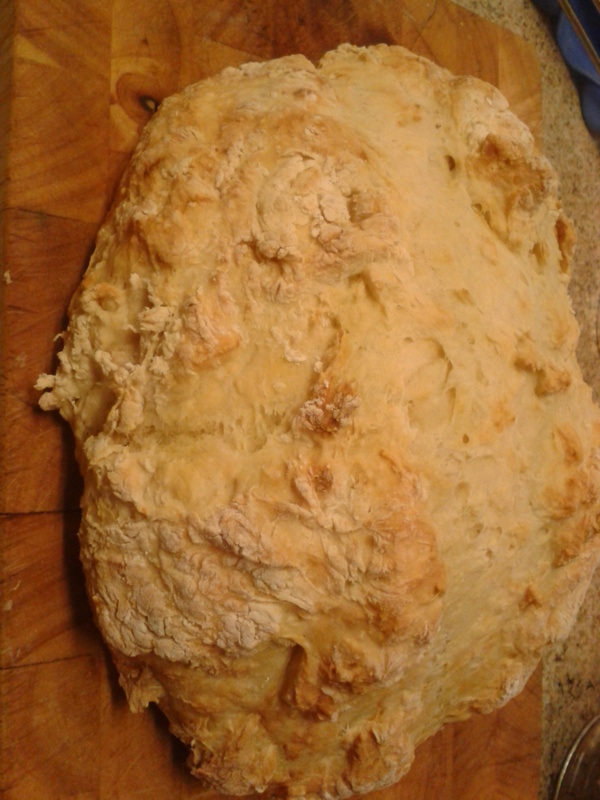 Soda Bread is wonderfully quick and easy to make, no messing with yeast or time spent proving and knocking back. 2. 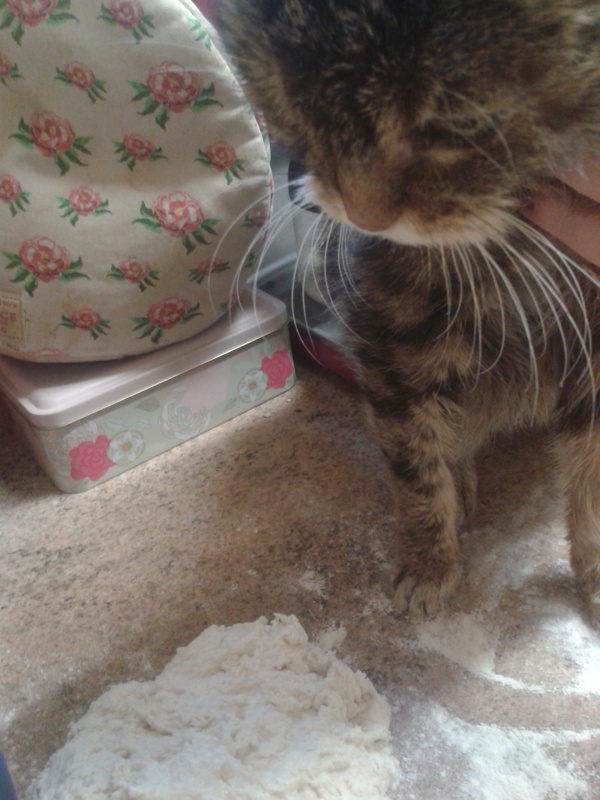 Mix together the flour, salt and bicarb, creating a will or dip in the centre. 3. 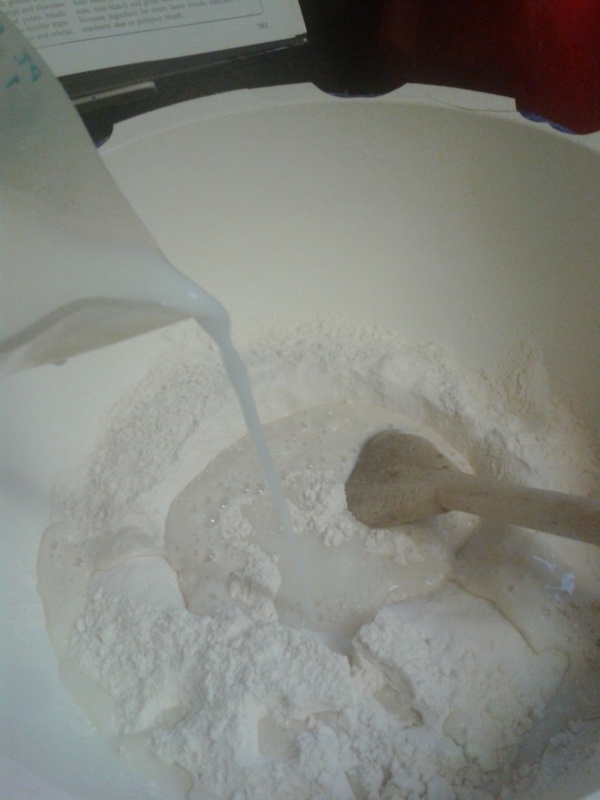 Pour the buttermilk into the well and mix together – this should make a rough and sticky dough. 4. On a floured surface shape into a round ‘loaf’ – no need to knead! 5. 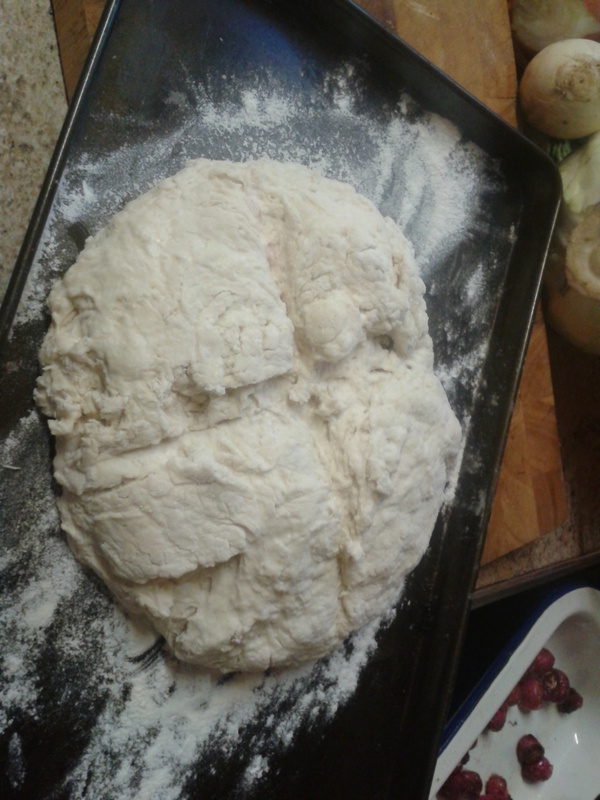 Place on a floured baking tray, flatten to 2in/5cm thick and using a knife mark a deep cross in the surface. 6. Bake for 30-35 minutes ( a little longer if you forget to flatten the loaf before cooking). If you need to return it to the oven, cover with foil to prevent from over-browning. You will know when it is cooked by the hollow tap on the bottom, and a clean skewer coming out.